Experiencing Broadway Music: A Listener's Companion explores approximately the last century of American musical theater, beginning with the early-twentieth-century shift from European influenced operettas and bawdy variety shows to sophisticated works of seamlessly integrated song and dance that became uniquely American. It concludes with an examination of current musical trends and practices on Broadway. As a musician who works on Broadway and in developmental musical theater, Kat Sherrell draws on her knowledge both as a historian of Broadway musical form and as a professional Broadway musician to offer an insider's perspective on the development and execution of the past and present Broadway scores. 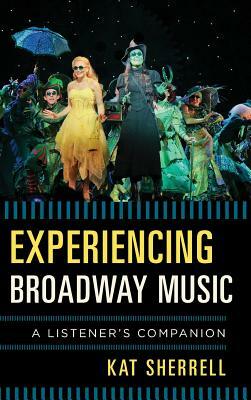 Despite its enormous breadth, and given the historical significance of the musical in modern popular culture, Experiencing Broadway Music provides listeners--whether they know musical theater well or not at all--with the tools and background necessary to gain an understanding of the highly variegated structure and character of the Broadway musical over the past century. Kat Sherrell is a conductor, pianist, and writer. Her work in New York has included Broadway shows In the Heights, Bring It On and The Book of Mormon and NBC's Smash, as well as many new musicals in various stages of development, including Sweethearts of Swing, for which she is the lyricist-composer.